The occasion of Ashadi Ekadashi has a series of different names, some of them being Padma Ekadashi, Maha Ekadashi. One of the most favourite celebrations of Maharashtra, The Pandharpur Yatra is hosted every year on the Holy occasion of Ashadi Ekadashi. Several devotees, who are addressed as Warkaris, take part in processions where they walk all the way to the temple of Vitthal in Pandharpur. Vitthal is considered to be a form of Lord Vishnu and unlike most of the impressions of Vishnu, where he is seen standing, the posture of Vitthal is that of a standing persona with his hands holding a Chakra and Shankha respectively. This standing form of Vishnu is often considered to be a result of a story. According to the story, Lord Vishnu once decided to visit the home of a devotee of his, named Pundlik. Unaware of the fact that Lord Vishnu was standing at his doorstep, Pundlik asked him to stand on bricks that he threw at him earlier as he was busy caring for his parents. Overwhelmed and touched by his dedication and love towards his parents, Vishnu happily agreed to remain in the same form. 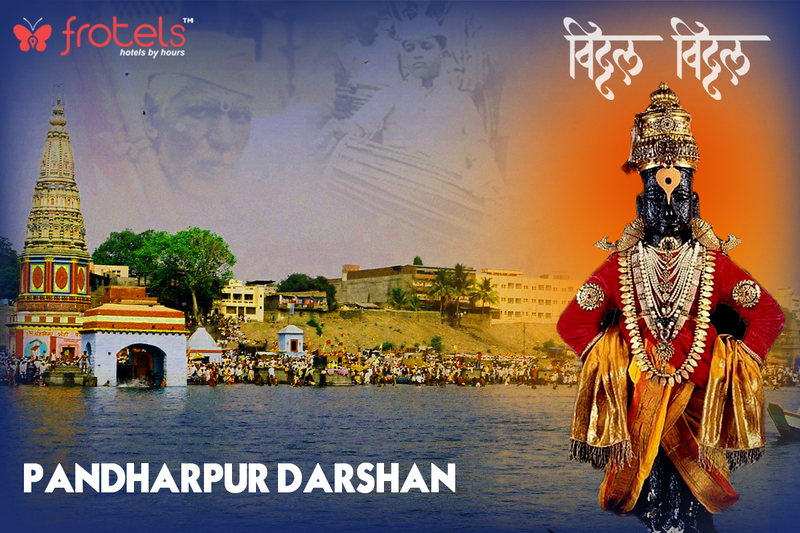 And, the village of this legend became popular as ‘Pandharpur‘.